This was part of a commissioned project to feature an updated design for the Citibank branch location in Oakbrook, Illinois. 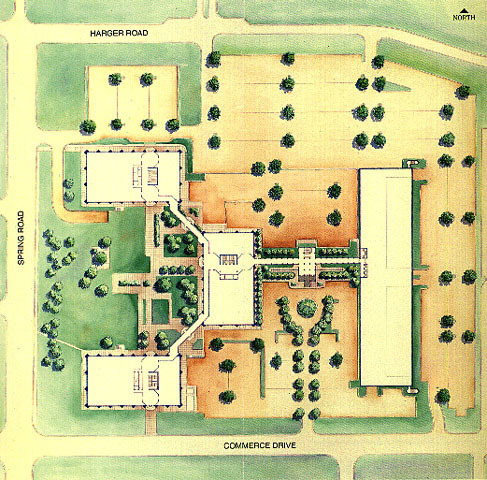 The site plan map below was developed from architectural blueprints and transferred to watercolor illustration board. The final art was hand inked using sepia ink in Rapidograph pens, then completed with Windsor & Newton watercolor washes.